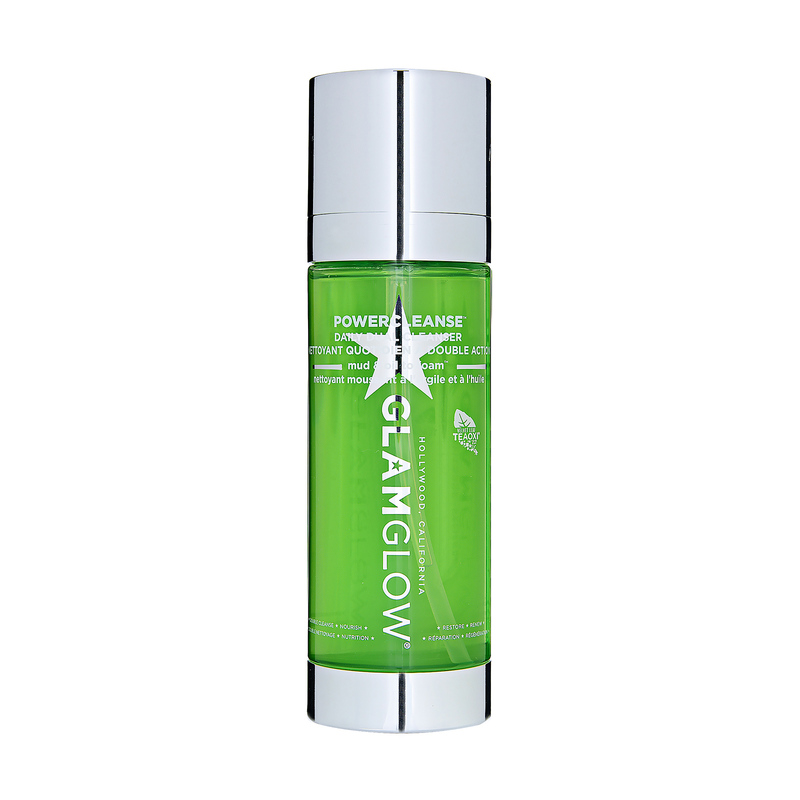 GlamGlow Powercleanse Daily Dual Cleanser has the following features:A revolutionary Mud to Foam™ daily cleanser that combines the Power of Mud and the Performance of Foam to eliminate makeup, impurities and dirt build-up on the skin, leaving skin renewed, purified, deeply cleansed and nourished. Prickly Pear Oil and Tangerine Oil deeply cleanse and nourish skin. Bio-mineral Green Clay and Pure Kaolin Clay cleanse and detoxify. A powerful trio of Rice Bran Ceramides, Soy Phospholipids, and Oat Lipids offers three-dimensional repair for healthier-looking, stronger skin. TEAOXI® Velvet Mullein Leaf powder steeps in naturally nourishing fatty acids, minerals and saponins. Free of parabens, SLS, and SLES. Suitable for all skin types.